I have been posting a blog series about scientists who were called “crackpots” but eventually turned out to be right. There is a convenient archive of the posts under the tag crackpots-who-were-right in case you missed any of these fascinating stories. I could carry on the series forever, but I want to do other things so I’m going to conclude it with this last post. If I had continued I would have gone on to tell you about Barry Marshall who got the Nobel Prize after showing that stomach ulcers are caused by a bacterium rather than stress as everyone believed. He found it so difficult to convince anyone that he eventually drank a petri dish of the bacteria to prove it. I also wanted write a bit about Robert Chambers who wrote a popular book about evolution before Darwin. He was ridiculed by biologists for his misuse of terminology but the public were won over and he paved the way for acceptance of Darwin’s theory while much of the scientific establishment held on to creationism. I also never got round to the famous case of Hannes Alfvén another Nobel laureate who faced ridicule when he realised that plasmas and magnetic and electric fields are important in galactic physics, not just gravity as everyone else believed. Nor have I mentioned Subrahmanyan Chandrasekhar who showed that stars above a certain size would eventually collapse to form black holes at a time when others did not believe they could really exist. The lambasting he got from Eddington almost ended his brilliant career. Then there was Joseph Goldberger who showed that Pellagra is a disease caused by dietary deficiency but for political reasons his opponents continued to claim it was infectious. Others on my list are William Harvey for blood circulation, Doppler for light frequency shifts, Peyton Rous for showing viruses can cause cancer, Boltzmann, Dalton, Tesla, Alverez, Margulis, Krebs, and on and on. All of them had to fight against resistance before their ground breaking work gained the recognition it deserved. But so what? What can we draw from this? Some people have commented that these people were not real crackpots. They worked as real scientists and had ideas that just took time to establish. They are not like the people who turn up in physics and maths forums with crazy ideas that have no respect for hundreds of years of progress ins science. Furthermore, our “crackpots”-who-were-right are a tiny minority compared to all the ones who were wrong. I disagree with these points. Firstly, these people really were treated as crazy and were subjected to ridicule or were ignored. The cases described here are the extremes. There are many more who have merely had an important paper rejected. In fact it is hard to know the real extent of the problem because only the most important stories get told in the history of science. My guess is that these people represent the tip of a large iceberg most of which lies hidden below the threshold it takes for historians to take note. Furthermore, even if the “crackpots” who were right are the minority among all “crackpots”, they are still the most significant part. It is better to create an environment in which these people can have their theories recorded for the sake of the few who are right, than to try to dispel them all because of some irrational fear that they disrupt real science. And, even amongst those who have really crazy ideas there will be the people like Ohm who also have some valid ideas hidden underneath. No amount of peer-review or archive moderation can reliably separate the good ideas from the bad. The only solution is to allow everyone to have their say and to record it in a permanent accessible form. Some people ask me why I expect scientists to wade through so many papers looking for something they find worthwhile. The answer is I don’t. Work of no value will be ignored while useful ideas will be found by someone doing related research who finds it through keyword searches or other means. Even in the academically run archives there are vast numbers of papers that will never be cited or read by many people. Scientists find out about new ideas through citations, seminars, conferences, word or mouth, etc. I hope that some people at least will read this series and get the point about why we run the viXra archive with an open policy that allows any work on scientific topic to be recorded. I can’t say that some future Nobel Prize winner will be among our deposits, but it is not impossible. More likely there will be lots of smaller good ideas that move science along in less dramatic steps, but that is the way most science is done. At the beginning of the 20th century, the prevailing view amongst geologists was that all features of the Earth developed over millions of years in gradual processes of erosion and rock-forming. For most geological features this is indeed true, but today we know that there are other important processes of change that can take place over just a few years or even days. These include volcanic eruptions and meteoric impacts that shaped the land and had dramatic consequences for life on earth and the process of evolution. 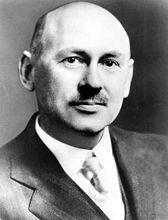 The first evidence that such sudden changes could take place was presented in the 1920s by J Harlen Bretz. After careful exploration he realised that the unusual topography of the Scablands in North-Western America could only be explained by a sudden catastrophic flow of flood water across the landscape. Bretz was originally trained as a biologist and worked as a highschool teacher. Later he moved to geology in which he earned his PhD. When he first published his theory in 1923 he was pitting himself against the established works of geologists supported by the authority of respected Ivy-League professors. The idea was quickly labelled as outrageously wrong and his opponents set to work to discredit it. 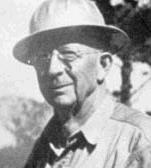 Another geologist, Joseph Thomas Pardee who worked for the US Geological Survey had identified a large glacial lake that had occupied a region of Montana known as the Missoula Lake. Pardee had written a paper that explained the Scablands as glacial erosion.It was just the kind of formation theory that the geologists preferred, but Bretz looked more closely at the geology and realised that it could not be true. When Pardee heard the evidence he agreed and wrote in support of Bretz. HE thought that the Missoula Lake could have been the source for such a flood, but others would not hear of it. Pardee was dissuaded from supporting Bretz. Under threats to his own livelihood from his employers he had no choice but to be quiet. The matter came to a head when Bretz was invited to present his theory at a public forum to the Geological Society of Washington in 1927. Bretz was unaware that six authoritative geologists had been lined up to oppose him with the objective of utterly humiliating him and his theory. Bretz went well prepared and defended his case with good evidence from the field. He pointed out that the channels and bars of the area were too large to have been carved out by the Columbia river over millions of years as others thought. Only a sudden great wave of water could be responsible. But all of Bretz’s potential supporters had been silenced and the debate inevitably went against him. The conclusion stood for another 13 years before a field trip was organised that was designed to establish the erosion theory beyond any doubt. Before then Bretz himself was the only one who had explored the Scablands as a geologist. Bretz was invited to contribute but his disillusion after so many years of ridicule kept him away. Following the trip a meeting was organised for the geologists to present their findings. Seven geologists described how the landscape fitted in with their uniformitarian views, even though these were not always consistent. Finally Pardee stood up as the eighth geologist and quietly described gravel ripples in the area that stood 15 meters tall and 150 meters apart. They could only have been formed by a vigorous flow of huge amounts of water. The development and end of the ice ages was beginning to be better understood and Pardee believed that the ice of the Missoula Lake has melted but had been held back by an ice dam. When the dam finally broke some 2000 cubic kilometers of water broke free in one catastrophic event, sweeping through the landscape. Pardee stopped just short of making the obvious conclusion that the flood was the cause of the features of the Scabland. Perhaps he still felt intimidated by his colleagues, or perhaps he just wanted to leave it to others to acknowledge their error themselves. The game should have been up there and then as the evidence started to fall into place. In fact the debate continued for some 30 more years before veryone could be convinced. It was not until 1979 when Bretz was in his 90s that he was at last publically recognised by being awarded the prestigious Penrose Medal. The most thought-provoking aspect of the case of J Harlen Bretz is the extent to which geologists ganged up against him and tried to publically humiliate him. They used heavy tactics to ensure that anyone who might have supported him was silenced. When we look back today we see this as shameful behaviour. In my view this is very similar to the tactics used by the arXiv today where they sideline work they don’t like into archive categories that they euphemistically label as “general physics” and “general mathematics”. Everybody knows that this is done to imply that the articles are of no value and it is used as a system of ridicule. Furthermore the arXiv uses public threats directed at their endorsers designed to stop them helping outsiders who want to submit to arXiv when their work may not agree with the prevailing consensus. Of course this is even more true where people want to label papers in viXra as the work of cranks and dissuade anyone of submitting to viXra if they want their work to be taken seriously. In my opinion people will one day look back on this kind of behaviour as both harmful and shameful. The only difference with the attempts to suppress the work of Bretz is that they attack a whole community of independent scientists rather than just a few individuals. All 15 scientists featured in this series so far have been men and it has been very hard to find a women that fits the criteria for a “crackpot” who was right. Of course there are plenty of cases of women who have found it difficult to gain acceptance as scientists, but here I am looking for something else; scientists whose work was regarded as wrong for many years before it was eventually found to be correct. The lack of women in this situation could be regarded as a good or bad sign for women in science. Is it just a reflection of the general problems that women have had entering into the male dominated domain of science, or is it because when they do succeed their work is more likely to be accepted? Perhaps they have just avoided more controversial subjects, or maybe there is some other factor at play. Whatever the correct explanation, I’m glad at least to be able to document one example to prove that it is possible for women to do science that is so revolutionary that it is at first treated as a crazy idea. There have been only two women who won a Nobel prize in physics. In chemistry the count is four but in medicine there have been ten female Nobel laureates. 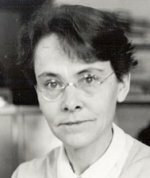 Barbara McClintock is one of those ten. By 1940 McClintock had already become recognised as an accomplished geneticist since graduating with a PhD in botany from Cornell University in 1927. Working mostly with Maize she used microscopic analysis to demonstrate many fundamental genetic ideas such the recombination mechanisms by which chromosomes exchange information. Early in her career her advisor Lowell Randolph became very irritated when she solved a problem he had been struggling with for his whole scientific life. McClintock had to depart when Randolph could not tolerate her success. This was not atypical of her relations with her colleagues. As one of the best in her field it is difficult to account for her failure to find a tenured position for so long, unless it was her gender. Finally nothing could stop her being elected a member of the national Academy of Sciences in 1944. After several unsettling moves she found a place at the Cold Spring Harbor Laboratory and stayed. Even then her best work was ahead of her. In the 1940s she discovered the process of transposition in which sequences of DNA can move to different positions within the genome causing mutations. It was for this work that she was made a Nobel Laureate in 1983, but it is a later series of discoveries that led to controversy. From 1948 she investigated the role of Activators and Dissociators in the DNA sequence. She observed that these elements could control the transposition of genes. This discovery ran against the concept of the genome as a static set of instructions passed from generation to generation. She published her ideas in 1953 and undertook lecture tours to speak of the work, but the reception was one of puzzlement and hostility. It was in that year that the double helix structure of DNA was discovered, changing the way people worked in genetics. Sensing that she risked alienating the scientific mainstream and damaging her career, she stopped publishing such work and moved onto other things. Even now not everyone accepts that hers was a prior discovery of genetic regulation. Some people even prefer to say that the work of Jacob and Monod proved her wrong! I have tried to keep to recent and relevant cases in my stories of “crackpots” who turned out to be right, but to celebrate one year of viXra I’m including a much older one. The plight of Galileo Galilei is well-known so I’ll be brief, but it is always worth retelling. Actually it is the story of a number of heretics and a hundred years of history that saw centuries of dogma finally pushed aside. Less than a hundred years later one such book was printed in the name of Nicolaus Copernicus. “De revolutionibus orbium coelestium” was about the revolution of the planets, but it also started a revolution of scientific thought. Copernicus had formulated his idea that the Earth and planets revolved around the Sun 30 years earlier but he was reluctant to publish openly until near the end of his life. It seems he need not have worried. The heliocentric theory was at first welcomed by the church and by scholars despite its potential contradictions with catholic teachings. These were happier times before the unsettling influence of the reformations took hold. Until then cosmology was based on the ancient work of Aristotle and Ptolemy who taught that the Earth was fixed at the centre while the sun, moon and planet revolved on system of celestial spheres. After Copernicus the first direct evidence that this could not be quite right came from observations of comets by Tycho Brahe. In 1577 he noticed that comets passed through the spheres, something that was not supposed to be possible. Further cracks opened when Giovanni Benedetti attacked Aristotle’s laws of motion. it had been believed that all bodies tend to a natural state of rest but Bendetti noticed that a law of impetus better fitted observations. 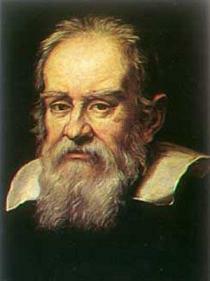 In 1592 this helped Galileo formulate his principle that the laws of physics in the heavens was the same as on Earth. A year later Johannes Kepler published his astonishing observation that the motion of the planets was best accounted for in a heliocentric system with the planets following elliptic orbits. So far there had not been too much controversy as the old scientific dogma fell away, but that was to change dramatically. In 1600 Giordano Bruno was burnt at the state for his heretical view that the stars are distant suns with other Earth’s in orbit. The revolution had gone too far for the church’s liking. When Galileo famously turned his telescope to the night sky he saw things that would finally overturn the old dogma. Jupiter had moons that revolved around it. The surface of the moon was scarred with craters. The sun, thought to be a sign of perfection, was blemished with dark spots. Hostility towards his ideas grew and Galileo knew he had to tread carefully, but he also had to speak up for truth. His book Dialogue Concerning the Two Chief World Systems published in 1630 led to him being brought before Pope Paul V. He was deeply suspected of heresy but a partial recant saved him. Nevertheless, he spent the rest of his life under house arrest watched closely to ensure that no more of his dangerous ideas could be published. Of course it was too late. The genie of truth was already freed and with the wide distribution of printed books it was no longer possible to rebottle it. Many people see Galileo’s battle as a fight against religion. It is possible to find passages in the bible that say the Earth is fixed, an idea that Galileo contradicted and which was central to the case against him. However, I see his struggle as something directed against a scientific dogma that happened to be firmly tied to the authority of the church. Many of the people involved in overturning it were themselves priests, cardinals and bishops and they did not seem to see any contradiction with their beliefs. It was only when the authority of the church over scientific teaching was threatened that opposition arose. In this sense it is not so different from most of the more modern stories we have encountered of “crackpots” who were right. The taxonomy of life first set out by Linnaeus is familiar to anyone who has taken a basic interest in natural history. At the finest level life on Earth is divided into species that are grouped together in genera. Higher level groupings define families, orders, classes, phyla and then kingdoms. The original system of 1735 Linnaeus listed just two kingdoms for animals and plants. With the invention of the microscope it was realised that there are also bacteria that do not fit into either of these kingdoms. They are distinct because their DNA is not held in a nucleus. Over time the taxonomy system was refined until the 1969 classification of Whittaker with five kingdoms became accepted by biologists. Initially classification was based on simple morphology. Later the chemical composition became more important. For example, fungi were placed in their own kingdom distinct from plants because their cell walls contain chitin instead of cellulose. Then in the 1970s a few scientists started to look at the RNA in the cells. One of them was Carl Woese who wanted to use the technique to help classify bacteria. When he was asked to apply his method to specialised bacteria that live in extreme conditions he found that the RNA was so different from other bacteria that it was wrong to put them in the same kingdom. At first he called them Archaebacteria, but then he decided that a more radical change to the top levels of taxonomy was needed. In the new system there would be three domains, bacteria, archaea and eukarya with the latter containing the more familiar kingdoms. Carl Woese was born in 1928 in Syracuse and still holds a professorship at the University of Illinois. His scientific training was more in biophysics than traditional microbiology so to some extent he was an outsider in the field he was revolutionising. As we have seen before it is sometimes such people who come along with a different outlook on a subject, untethered by the ruling dogma. These are the people with a mind open enough to shift the paradigm, but they should expect a lot of resistance from the authorities on the subject. This was certainly the case for Woese. Although Woese’s research was published in a top scientific journal, most biologists knew of it only through newspaper accounts. Unfamiliar with the new techniques used they immediately set about criticizing it. Nobel Laureat Salvador Luria openly derided any possibility of a three domain taxonomy believing it to be based on a classification game. Privately he contacted Ralph Wolfe, a colleague and supporter of Woese and told him ” you’re going to ruin your career. You’ve got to disassociate yourself from this nonsense! '” Others followed with a hostility that shocked Woese. Because they saw him as a physicist rather than a microbiologist they did not hesitate to call him a crank. They did not believe that the RNA studies he had carried out could be used to classify bacteria. They did not even bother to look at the data. Ernst Mayr, an icon of evolutionary biology could never accept the new conventions even when they became more widely accepted in 1990. Woese was never allowed to defend his work on the conference circuits and his funding remained at a scathingly low level. Try as he might he could never get the money from the NFS Systematics panel increased even though with retrospect it was by far the most important research they ever funded. Over time acceptance of his work grew and he started to collect some honours. Finally it was the possibility to sequence genomes that confirmed the verity of his work in 1996. Now it is widely understood and Woese has the recognition he always deserved. His work has been absorbed into the textbooks without any embarrassing mention of just how bitterly it was opposed for nearly twenty years. In some cases the name of Woese is conveniently left out when his work is described by those who attacked it for so long. The taxonomy of the simplest lifeforms is tied into the study of early evolutionary biology and is a field that continues to develop. The groupings into domains and kingdoms will no doubt be modified again, but the work and techniques of Woese that recognised the differences of archae will remain as a revolutionary step that advanced microbiology to its modern form. The name of Ohm is well-known to electricians and physicists because of Ohm’s Law and the metric unit used to measure resistance; the Ohm. The Law states that the current through a conductor is proportional to the voltage applied leading to the equation V = IR, a simple rule that is easy to test with some batteries, some wires and a current meter. 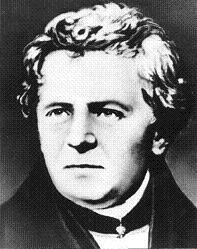 It is therefore quite surprising to learn that when Georg Ohm published his work in 1827 it was highly criticised for several years. Realising that he was in a poverty trap that meant he could never marry, Ohm aimed to make his name in science with the hope that it would lead to a better paid position. He read the texts of the leading mathematicians and physicists of France and set about his own electrical experiments. At the time it was not so easy to produce steady voltages and accurate measurements so little was known about the flow of currents. Ohm carefully prepared samples of wire of constant composition and width and used a thermocouple to control voltages with heat. With a galvanometer he could measure the current flow through the wires as a function of voltage and length of wire. Details of the experiments were published in 1825. Unfortunately, the scientific philosophy of the time led by Hegel in Germany did not value experiment as highly as theory. Ohm therefore sought to bolster his work with a theoretical derivation and he turned to the work of Fourier on heat conduction as a basis for his theory. The completed work was published in 1827 as “The galvanic Circuit investigated mathematically” We now know that quantum mechanics is needed to properly treat the theory of conduction. Even primitive classical models based on kinetic atomic theory were not accessible to Ohm at the time and Ohm’s theory could never be more than a sham. Ohm’s masterly empirical work was ignored while his theory was torn apart. His harsh critics in germany called it a “web of naked fancies”. Another reviewer said the book’s “sole effort is to detract from the dignity of nature.” The hardest blow came from the German Minister of Education who said that “a professor who preached such heresies was unworthy to teach science.” Ohm had hoped for a new position as a university professor but now he was forced to give up even his job as a lowly paid school teacher. His life was in ruins. For six years he fell on hard times until he once again took up teaching at a polytechnic. Few of his German colleagues ever took back their stiff critical words, but in America and England where experimental work was more highly regarded he gradually found acclaim. In 1843 the Royal Society awarded him the Copley Medal. At that point he might have seen better fortune at home but he tempted fate with theory of acoustics that led to a dispute with the German scientist August Seebeck. It was not until 1852 that he finally appointed to the chair of physics at the University of Munich. He died two years later. In 1881 his name was imortalised when the Ohm was officially adopted as the unit of resistance. With hindsight, Ohm’s poor level of recognition can be attributed to a number of unfortunate political and philosophical factors: The low regard for experimental science in his homeland, his status as a self-taught amateur, perhaps his reliance on the work of French mathematicians at a time of tension between Germany and France, and even some political wranglings involving his brother. But there is also a message from his story that is relevant today. Sometimes we may be distracted from seeing a great truth in a person’s work because we are distracted by irrelevant errors. It is a lesson of importance for both the author and reviewer of any scientific work. You are currently browsing the archives for the crackpots who were right category.